It seems that someone in the city of Paris has decided it’s time to teach the French to speak a new language. With 83 million international visitors in 2012, you might think they’d already know something about speaking ‘touriste’. But if France is the world’s most-visited country, it is despite rather than because of the French. I remember sitting with my husband in an almost-empty restaurant in Paris a few years back when an American couple arrived. The maître-d’hotel tried to sit them at a table near the back; they very nicely but assertively asked for a table by the window. He refused on the basis that they had no reservation and that those tables were booked. The couple got up and left. The pompous fellow shook his head and made a disparaging comment to us, apparently assuming we were both French and shared his view of les touristes. Those Basil Fawlty moments are all too frequent in France. Which is likely the reason why the Chamber of Commerce and Industry for Paris and the ‘Ile-de-France’ (the so-called ‘island of France’ area that includes Paris and Versailles) has taken on the daunting task of teaching the French to speak the language of their visitors. 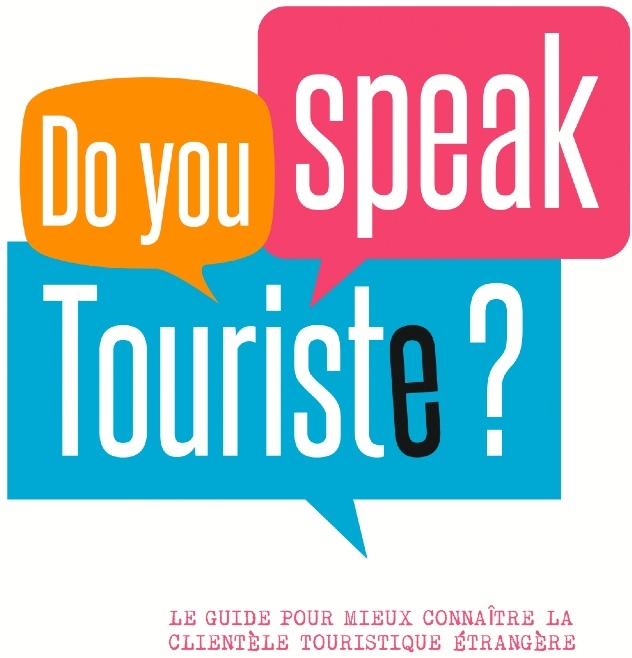 They’ve actually created a website, www.doyouspeaktouriste.fr and published a brochure outlining the expectations of visitors from ten top countries, along with cultural dos and don’ts. Seems that Americans are looking for full service, Brits want insider advice, Germans seek consistency and the Chinese want to know where to find the best shopping de luxe. There’s nothing on Canadians (or Australians, New Zealanders and South Africans), possibly because we’re too few and far between. Anyway, we probably look for the same things as our British and American cousins – perhaps with an added dose of humility and humor. Rebranding Paris as a tourist-friendly place will take some doing. The ‘Speak Touriste’ campaign is a good start but in my view does not address the basic issues that are such a turnoff for international visitors. – Closed encounters: Tourists do not expect to come to France to find its most famous attractions closed. Whether this is due to strikes, weekly closures or public holidays, if you are unable to visit the Eiffel Tower on that once-in-a-lifetime trip to Paris, you will not forgive or forget. While Sunday shopping all over France is perhaps too much to ask for, museums and monuments in the capital should be open every day. Shops should manage to stay open at lunchtime. And any business that closes for a month of holidays in the height of tourist season should have their license revoked. Case in point: Berthillon, the City of Light’s most renowned ‘glacier’ (gourmet ice-cream parlor) closes for congés annuels during August. – No garbage bins in sight: It’s just not nice to take away all the garbage bins in public places, even in the name of safety and security during ‘Vigi-Pirate’ terror alerts. Either replace them with transparent bags like other cities do or hire extra maintenance people to keep the refuse in check. All those tourists don’t pay a ‘taxe de séjour’ for nothing! – Lack of public toilets: Finding a clean, functioning public toilet in Paris can be like mission impossible. Which probably explains why every dark corner of the metro smells like a urinal. If there’s one thing that travelers need, it is bathrooms. – Service without a smile: The lack of service mindset is evident all over France but is nowhere more evident than in tourist-dense Paris. Anyone whose job involves greeting the public should understand that customers are not an interruption – they are the top priority. And even though visitors know the French don’t smile all the time, would it hurt, every now and then, to crack a smile? – No apologies: Even more of a rarity than a smile is an apology in France. If a customer orders something that is not available, or asks for something and isn’t satisfied, for whatever the reason, don’t add insult to injury – apologize instead. It is not an admission of guilt, but a form of politesse. One that acknowledges the old saying: the customer is always right. Tourism represents the 3rd biggest source of income in France. If you send all the tourists home, what will replace that? France will still attract visitors with or without closures, but if the CCI in Paris has launched this campaign, it is because they have a vested interest in keeping the tourists coming and spending their money in France. The French who want money before everything are not real French to my eyes . None of them have ever contributed to what makes France precious in the world in art, spirituality, politics, science or beauty, but they collaborated with the Nazis and they opposed to every revolution before that . This CCI is a bunch of those guys, who never did anything to make France attractive but try to use the attractiveness created by others for dough . They should move to pragmatic places like UK or USA and France would be a more attractive land, even with too few public restrooms . Soooo glad that you warned me about Berthillon in August! Now it seems that many ice cream places in the area offer Berthillon ice cream, so even if the original is closed you can still enjoy the real thing!